On Saturday, Eintracht Frankfurt were linked to the Dominican Real Madrid forward Mariano Díaz Mejía. The Real Madrid forward would be the third player to be signed on loan by Eintracht from the Spanish giant this season. Despite losing 1-0 to VfL Wolfsburg on matchday 15 of the Bundesliga, Eintracht Frankfurt, alongside RB Leipzig, Hoffenheim, and Hertha, have been the more positive surprises in the Bundesliga this season. Eintracht’s result is even more astonishing given the fact that die Adler have had one of the smallest transfer budgets this season. Frankfurt have spent just €2.2 million this summer on new players, which is the smallest amount paid for new players by any Bundesliga club this summer. Some of this has been down to the fact that Frankfurt were forced to reduce their budget to meet the stringent licencing laws in the Bundesliga. At the same time, Frankfurt’s poor showing last season, where the club only managed to stay in the league after narrowly beating 1. FC Nürnberg in the relegation playoffs, meant that the squad needed fresh blood. Hence, in order to bring in talented players Frankfurt resorted to signing young talented players on loan deals. Ante Rebić (Fiorentina), Michael Hector (Chelsea), Guillermo Varela (Manchester United), and Jesús Vallejo (from Real Madrid) were all brought in on loan deals. Furthermore, Frankfurt was able to sign Omar Mascarell from Real Madrid in a deal that gives Real Madrid the option to re-purchase the talented midfielder after this and next season. In particular, the two Real Madrid signings, Mascarell and Vallejo, have impressed since they joined the club in the summer. The 19-year-old defender Vallejo might even be the best signing of the summer transfer window. Vallejo has been, in many ways, the key player for head coach Niko Kovac’s tactical evolution at the club, as the intelligent Spanish centre back allowed Kovac to switch from a back four to a back three. Meanwhile the 23-year-old Mascarell has been a true warrior in Frankfurt’s midfield, allowing Eintracht to play a high pressing game that constantly threatens the opposition’s backline, and at the same time allows Frankfurt to make quick transition plays. Like Vallejo, Mascarell has also allowed Kovac to make changes in his formation, as it has allowed the head coach to move Makoto Hasebe into the back three, where he almost plays like a libero, and replace him with Mascarell. The two Spanish midfielders come equipped with the experience of being tactically schooled in the Real Madrid youth academies (Real Madrid Academy in the case of Mascarell, and Real Saragossa in the case of Vallejo) which are considered two of the most prolific youth academies in the country. 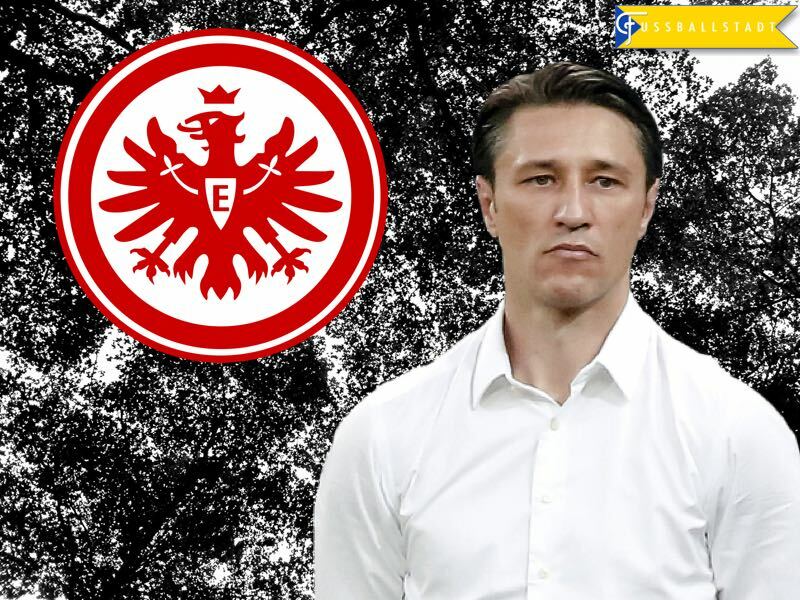 Now, under the tactically astute Kovac, they are gaining further tactical proficiency while, at the same time, playing first team minutes in one of the most competitive leagues in Europe. The development of the two Spanish talents has been noticed in the Spanish capital. This explains why Madrid are now also considering sending the talented Mariano Díaz on loan to Frankfurt as well. According to the Spanish newspaper AS, Eintracht’s sporting director, Fredi Bobić, met with Real’s marketing boss, José Ángel Sánchez, to negotiate a possible deal that would see Mariano Díaz move to Frankfurt in a loan deal this winter. Díaz has been a member of Real’s first team since the summer, and at the time Real head coach Zinédine Zidane told the media: “Mariano Díaz will stay with us, and will fight for his first team minutes.” But since the summer, Díaz has only played 157 minutes for Real’s first team—not a big surprise given the strong competition in the squad. As a result, Real are now willing to let the forward go out on loan to collect much needed first team experience. Frankfurt, on the other hand, need a forward, who can guarantee them goals in case Alex Meier goes through a dry spell or goes down with an injury—especially as forwards Haris Seferović, and Rebić have been somewhat reluctant scorers. Díaz could indeed provide much needed depth upfront. The 178cm tall (5 ft 10 in) forward works hard when on the pitch, and would fit perfectly in Kovac’s pressing system. On top of that Díaz, despite his relatively small height, is extremely good at headers, and is also fast. Some Real Madrid fans have complained that Díaz lacks the necessary technical ability to compete for a first team spot. But, given the fact that he is compared to the likes of technically gifted Cristiano Ronaldo, Gareth Bale, Karim Benzema, and Álvaro Morata, his technical ability has to be viewed in relative terms. Hence, Frankfurt would do well to land the talented Mariano Díaz in the winter transfer window, which would allow them to compete for a UEFA Europa League spot in the second half of the season. But, what is even more interesting about the possibility of the deal is the fact that Frankfurt’s work has gained recognition beyond Germany’s borders. In fact, big clubs like Real Madrid have now identified Frankfurt as a perfect destination to send young talented players out on loan. With big clubs like Real Madrid, Manchester City, and Chelsea, relying heavily on a loan network to develop players, both for their first team, and also to increase revenue by selling players who are not quite good enough to make the cut, smaller teams can benefit by making close arrangements with the game’s biggest teams. Here, Bobić’s international network, in particular, seems to be key to Frankfurt being able to make important arrangements with big clubs. For Frankfurt, in particular, this transfer strategy means that they can rebuild their finances while, at the same time, they can stay competitive. This, in turn will improve the club’s ability to sign more key players long term. Furthermore, not every player loaned to Frankfurt will necessarily be able to return to his mother club, which gives Frankfurt the opportunity to purchase the players fulltime.